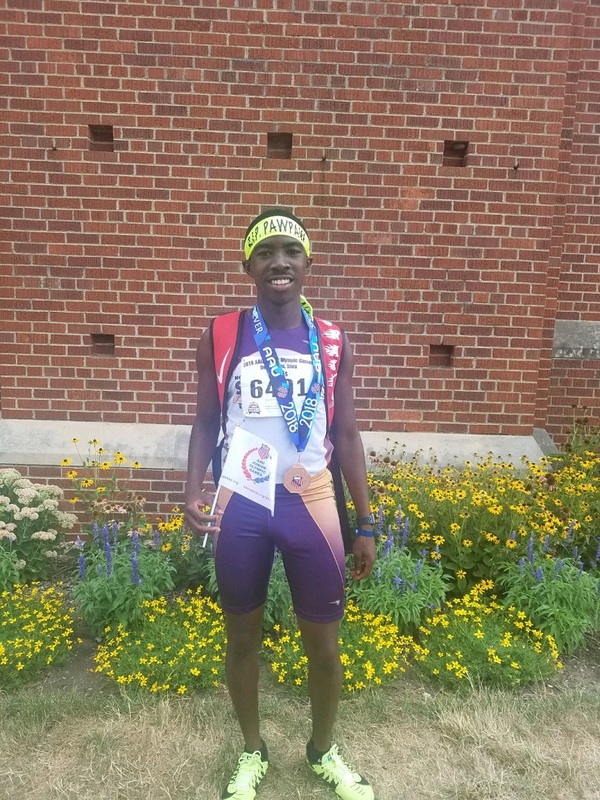 The Sonics final competition of the Junior Olympic Games sent us out on a positive note with Deanthony Nervis claiming a medal for 6th place in the 17-18 Men’s 400 Meter Dash final. This brings our team’s medal count to four! Congratulations to everyone who came to Des Moines and left it all on the track. We hope you all had a wonderful experience! 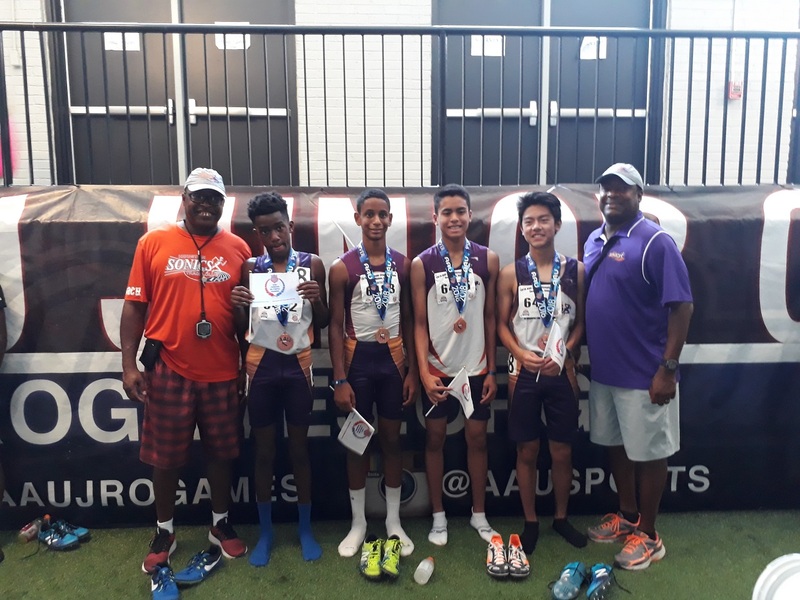 The Sonics started the day off with a bang when the 14 Boys 4×800 Relay team of Isaiah Bocock, Nathan Bui, Andy Jiang, and Todd Woods reached the podium with an impressive 4th place finish! Ashston Hartwell followed with a 21st place finish in the 15-16 Boys High Jump, and Deanthony Nervis ended the day on a high note by qualifying for the 400 Meter Dash final in the 17-18 Men’s division with a PR time of 48.37! 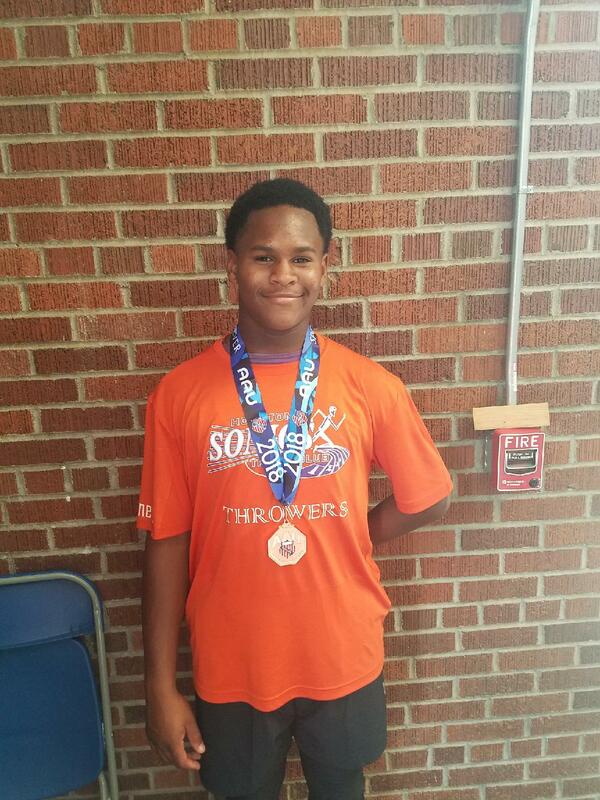 Kenneth Burgess secured the Sonics’ first medal of the Games with a 6th place showing with his PR performance in the 14 Boys Shot Put! Arik Dennis was our first competitor and it was his first appearance at the Junior Olympics. He competed in the 14 Boys Pentathlon and finished in 29th place.